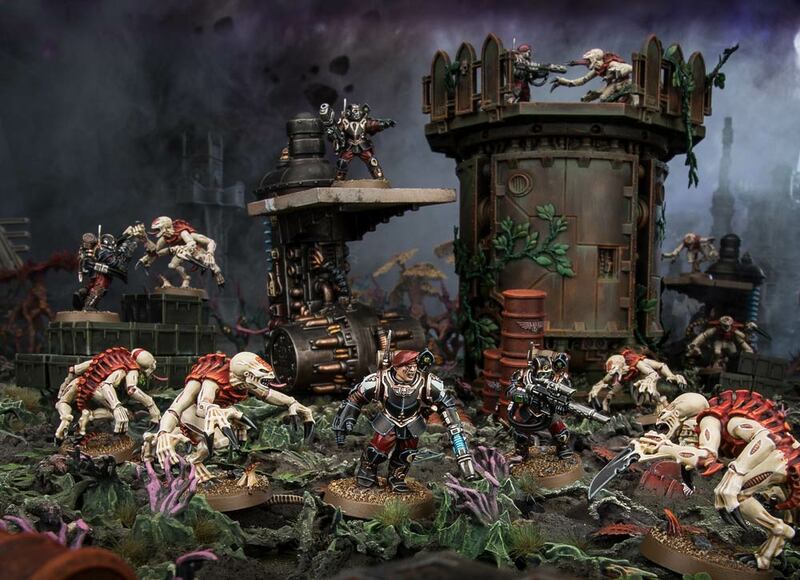 Warhammer Community has finally delved into the Kill Teams for the Astra Militarum...wait, Astra Miliwhat? You're in the Guard, son. Whatever the case, we have Kill Team rules for the Imperial Guard, which corresponds to all those awesome narrative scenarios you've only read about in novels! Like Ice Warrior or Gaunt's Ghosts series. Colonel-Commissar (now Lord Militant Commander) Ibram Gaunt leading a small Kill-Team into Chaos-held territory to take out a Traitor General, for example! So what can the humble Guardsmen bring to the table? Bodies. Lots of bodies. We can form the largest Kill Team in the Imperium...I mean, on the tabletop, because of how cheap and expendable *cough* we are. I would much rather my Astra Militarum Guardsmen stay alive for as long as possible, though. I've grown far too attached to them. Anyway, we have Orders, we have strength in numbers and we have lots of different regiments. I know my Draconian Defenders will be in, supported by Kamikaze Storm Troopers! My Kamikaze Storm Troopers are the equivalent of Cadian Kasrkin Storm Troopers so I can't wait to use the different models! We have Guardsmen, Tempestus Scion and special weapons gunners. Needless to say, I'll be going for mostly plasma. Since plasma fits the Draconian theme pretty well, so I might as well do a fluffy plasma list, but I do have other options such as flamers and meltaguns if I need those. We have a few tactics too, one to allow us to get an additional -1 penalty to our opponents shooting at our obscured Guardsmen and another to allow our Leader to shout an additional order. Cool, eh? Anyway, you can start your Guardsmen Kill Team with the Cadia Company Command squad box, or use your existing models (like me)!